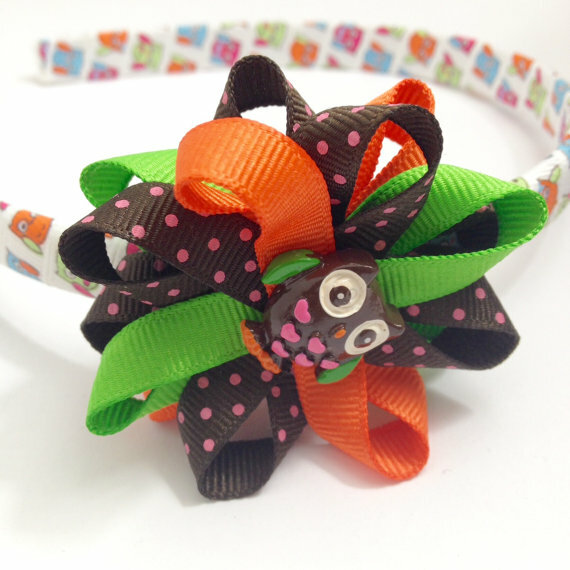 You will receive 1 owl Thanksgiving hair bow headband hand wrapped with owl print ribbon. I made this hair bow with brown/pink Swiss dots, solid orange and apple green ribbon with an owl flatback resin center. The bow measures approx. 2.5 inches. I heat seal all ends so they shouldn’t fray.